A panel of experts will offer insights on cover crop benefits and challenges at a learning center session hosted by DuPont Pioneer and the Conservation Technology Information Center (CTIC) during the 2014 Commodity Classic in San Antonio. The learning center session, “Cover Your Assets: Improve Productivity, Efficiency and Soil with Cover Crops,” will take place Feb. 28 at 1:45 p.m. in the Henry B. Gonzalez Convention Center, Room 217BC. The panel includes Rob Myers, regional director of extension programs for the U.S. Department of Agriculture’s North Central Sustainable Agriculture Research and Education (SARE) program; Mike Plumer, conservation agriculture consultant; and Jamie Scott, an Indiana farmer, business owner and cover crop consultant. Karen Scanlon, CTIC executive director, will moderate. In his current capacity, Myers administers competitive grants to fund sustainable agriculture throughout the 12-state North Central Region. Myers also serves as an adjunct associate professor of plant science at University of Missouri – Columbia. In 2013, Myers served on the USDA interagency task force on cover crops and crop insurance by contributing his expertise to the development of new cover crop termination guidelines. As a consultant, Plumer works in the U.S. and internationally. He also is the coordinator of the Illinois Council on Best Management Practices. In this role, he directs programming and research in cover crops, conservation and watershed water quality issues. Through his diverse hands-on experiences, Scott has become an advocate for cover crop use. He has been using cover crops on his 2,000-acre operation for the past 10 years. His experience involves a wide variety of crops, conditions and soil types, including 60 plots on his Pierceton, Indiana, farm where he hosts several educational tours each year. As CTIC’s executive director, Scanlon fosters relationships with the organization’s membership, which includes industry leaders, national associations and media and academic contacts. She also collaborates with government agencies and leads projects to advance conservation. 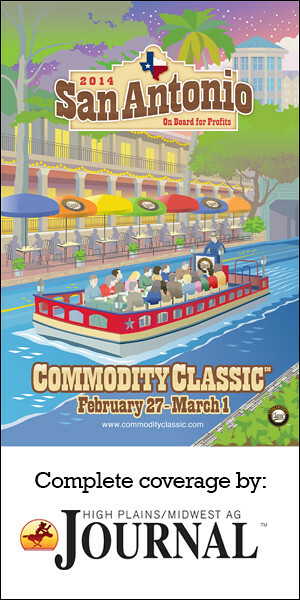 This event is part of the Commodity Classic, an annual farmer-led and farmer-focused trade show and convention.